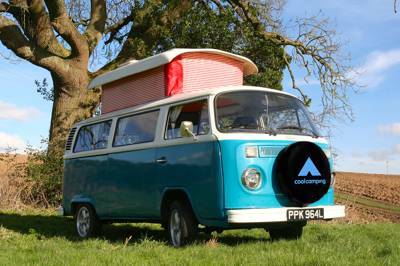 book a camping trip on coolcamping.co.uk and you could win our lovely vintage VW campervan! Ever fancied hitting the road in your own pop-top VW? Or dreamt about taking the wheel of a vintage van with the Beach Boys cranked up to 11?! !Nothing epitomises cool, classic, good old fashioned camping quite like a VW campervan and, at the end of this season, we'll be retiring our own, hard-working four-wheeled friend Tallulah, and giving her a new life with one lucky Cool Camping fan. Yes, our pre-loved, classic 1973 dub could soon be yours, just by booking a camping trip on the Cool Camping website. So if you’re planning a camping or glamping getaway, why not search for campsites with availability now and book your stay to be in with the chance of grabbing this amazing prize? to win simply book your camping or glamping holiday on the cool camping website and you’ll automatically be entered into this incredible prize draw! 1. This promotion is open to all UK residents (excluding Northern Ireland). Employees of Punk Publishing Ltd, their families, agencies and anyone else directly connected with the promotion are not permitted to enter. 3. Competition details: In order to qualify for this competition, entrants must book a camping or glamping holiday using the booking system on the www.coolcamping.co.uk website only. Bookings made using the Cool Camping system on any other websites, including independent campsite websites, will not be eligible. 3.1 The competition will begin at midday on Friday 19th February 2016. Any bookings made before that time will not be eligible. 3.2 Bookings that are later cancelled will not be eligible. 3.3 You may enter as many times as you wish; each separate booking made via www.coolcamping.co.uk will be counted as a separate entry. 3.4 The number of people included in the booking or the monetary value of the booking has no impact on entries. 3.5 The closing date for this promotion is 30th September 2016. Any bookings made after this date will not be eligible. Bookings made up until midnight on 30th September 2016 will be eligible. 3.6 We accept no responsibility for damage or loss resulting from misdirected or incomplete entries arising from computer malfunction, viruses, bugs or telephone malfunction or other such causes. We are in no way liable for the reproduction or indirect access via third party websites that misstates or omits any of the information or terms and conditions connected with the promotion. 3.7 The winning booking will be selected at random from all bookings made, within 10 days of the closing date. 3.8 The name of the winner may be published on the www.coolcamping.co.uk websites, and may be used in other marketing materials. Confirmation of acceptance of the prize must be given via email within one week of notification, otherwise another winner will be selected at random. 3.9 By entering this competition you consent to Cool Camping contacting you from time to time for marketing purposes including the distribution of regular email updates or newsletters. You can unsubscribe from these emails at anytime. 4. Prize details: The first prize consists of one vintage 1973 VW Campervan (as pictured) believed to be a Danbury conversion, and currently being used by the Cool Camping team for research trips. Please note, while this campervan is in reasonable condition for its age, the vehicle is over 40 years old, so it is by no means a showroom model! However, we will ensure that the vehicle is supplied in good working order to the prizewinner and the vehicle will also be delivered free of charge to any UK mainland address. 4.4 The prize does not include associated extra costs such as future road insurance, MOT, fuel, roadside recovery, storage or anything other than the VW Danbury Campervan itself. Please note, this vehicle is classified as a vintage/classic car and as such is extremely difficult to insure for persons under the age of 25. Vehicle is tax exempt. This competition is promoted by Punk Publishing Ltd, 81 Rivington street, London EC2A 3AY. Entries should not be sent to this address. This competition has now closed. But you can search for campervan hire and motorhome rental companies here.